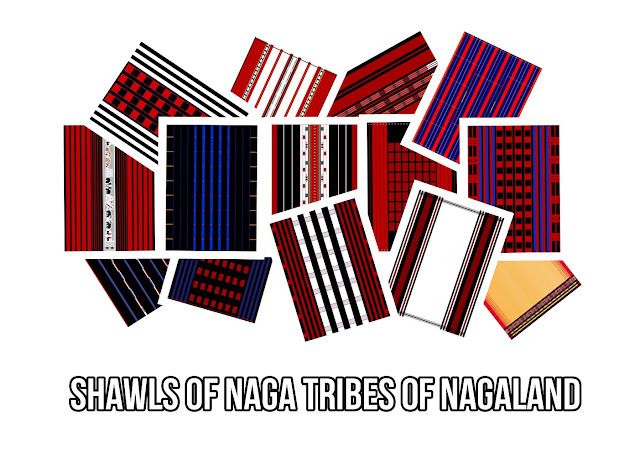 There are sixteen officially recognized Naga tribes in the state of Nagaland, a hilly North Eastern part of India. 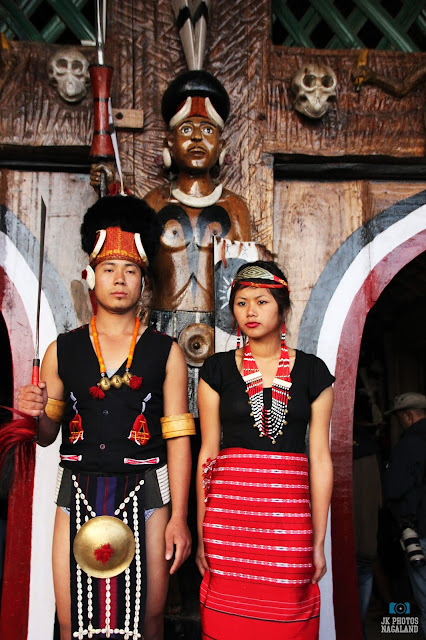 There are several other Naga tribes outside Nagaland - in Assam, Manipur, Arunachal Pradesh and Burma (Myanmar). 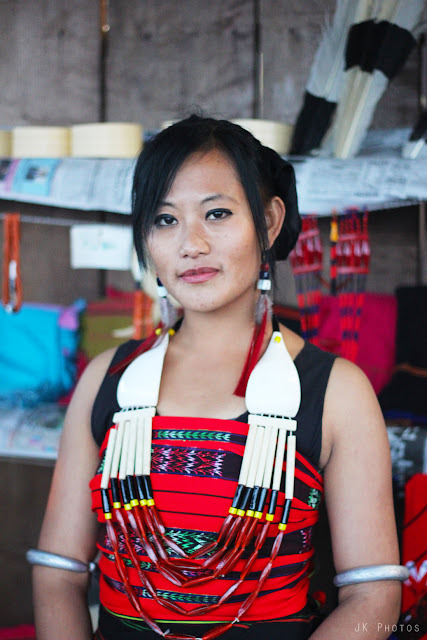 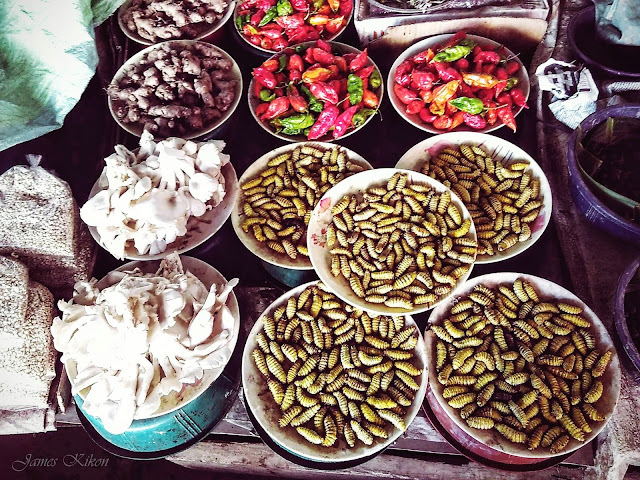 Each Naga tribe have their similarities but also distinction in their attires, traditional habits, food and even they way they build their homes. 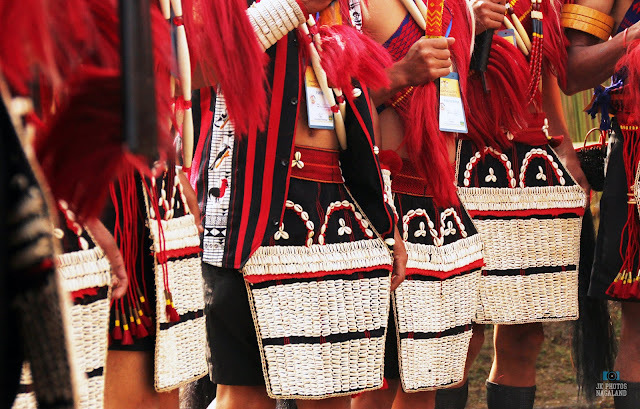 It's amazing how much diversity there is in this small group of ethnic people - the Nagas. 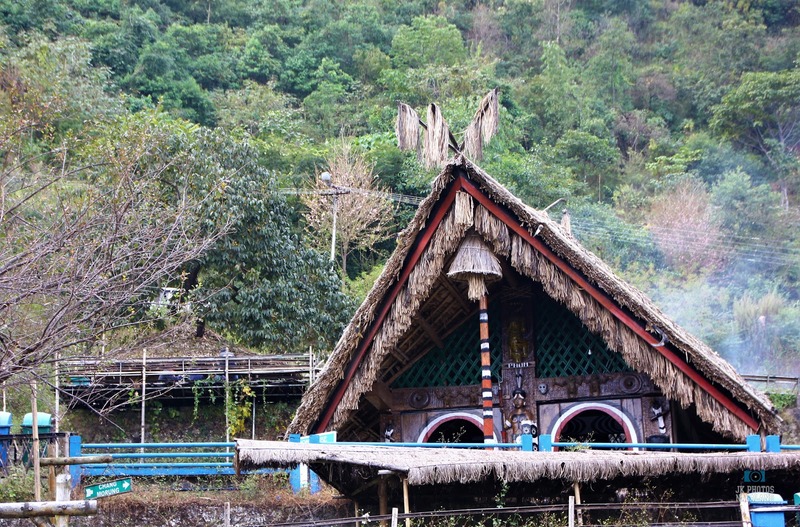 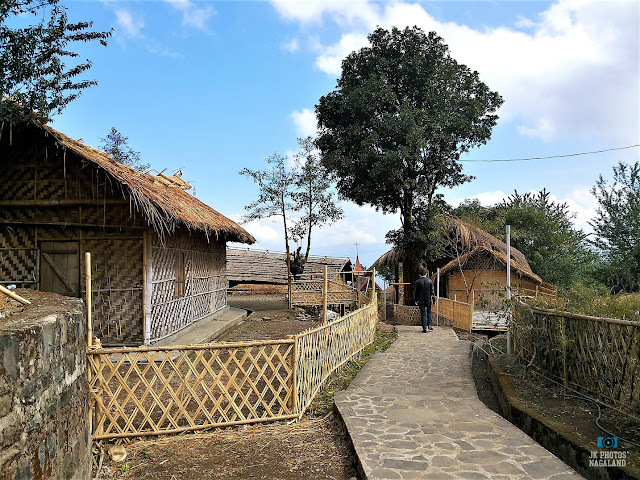 Almost every Naga traditional hut have as slightly arched roof. 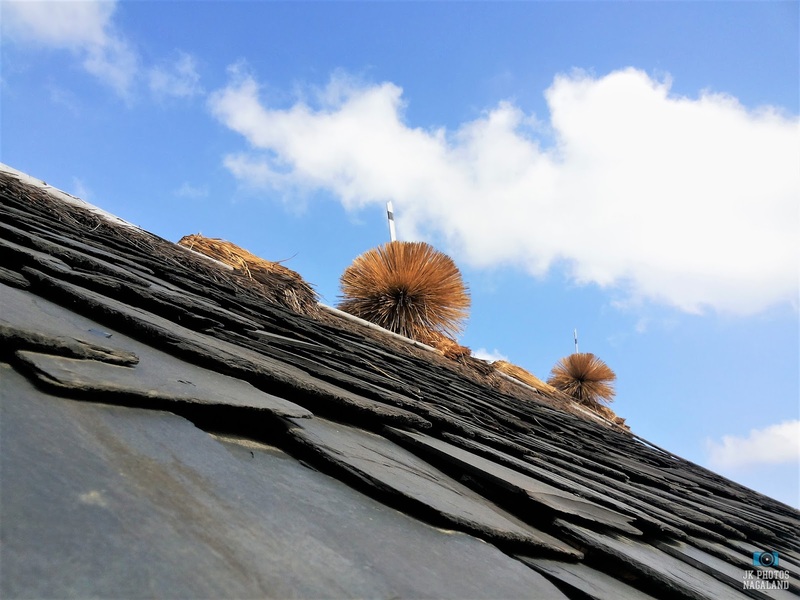 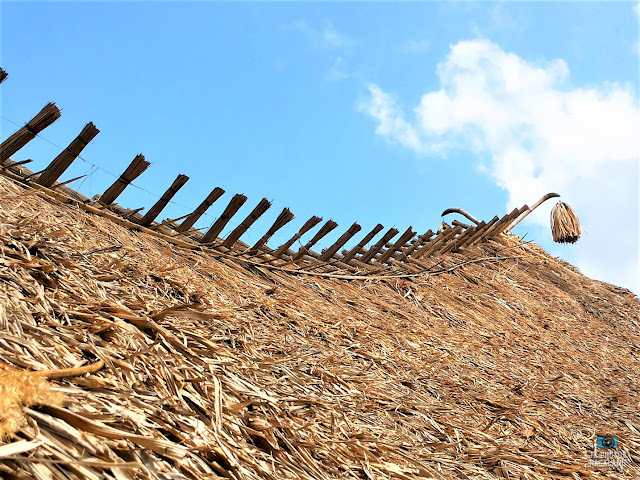 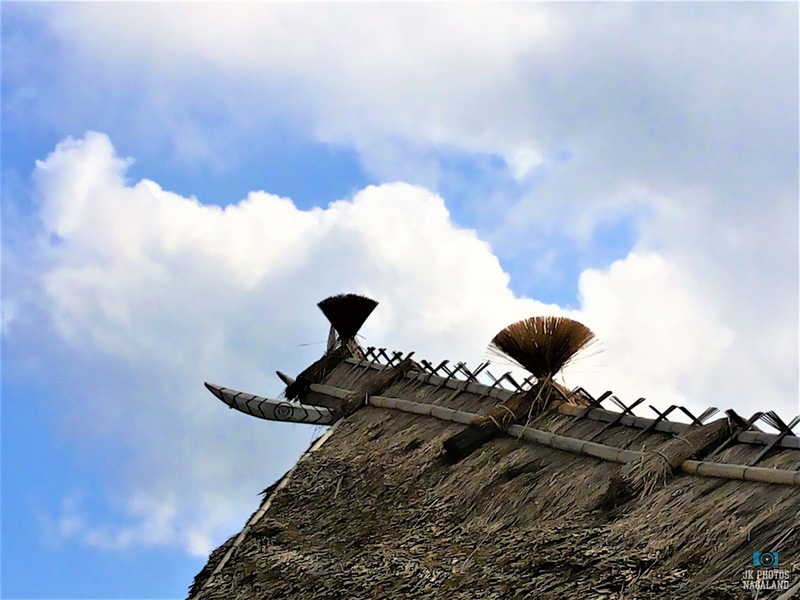 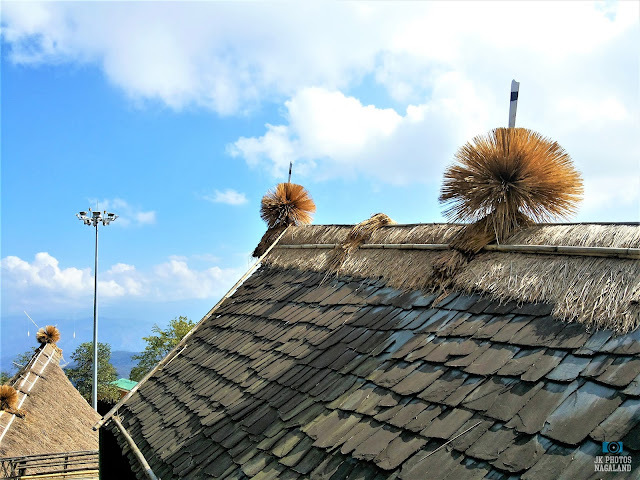 Most Nagas use a kind of tall grass found in the wild for the roof and walls are mostly thatched with bamboo. 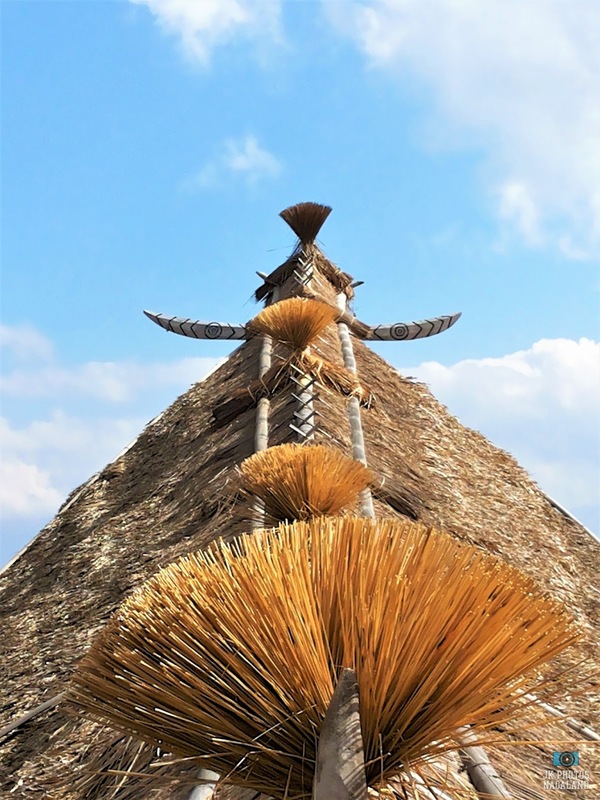 The architectural designs of huts would vary from tribe to tribe. The importance of bamboo as a building material for the Nagas can be seen from these pictures. 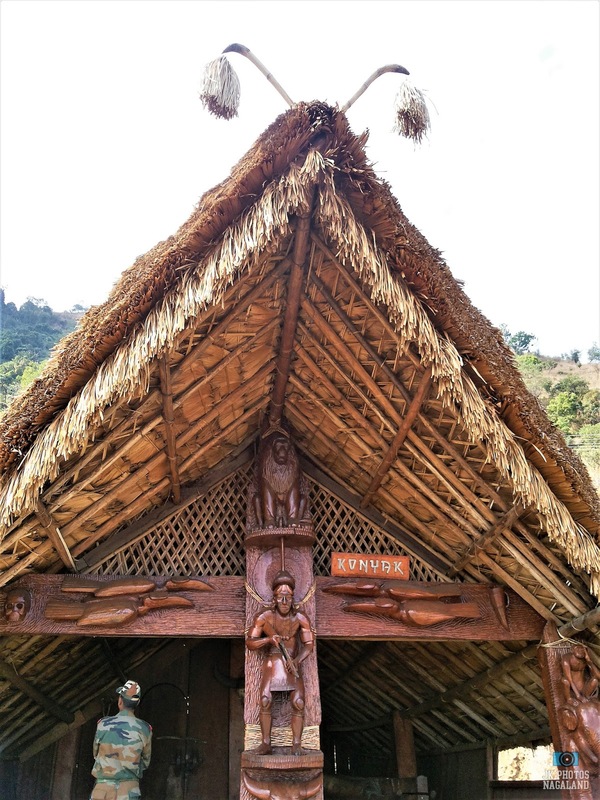 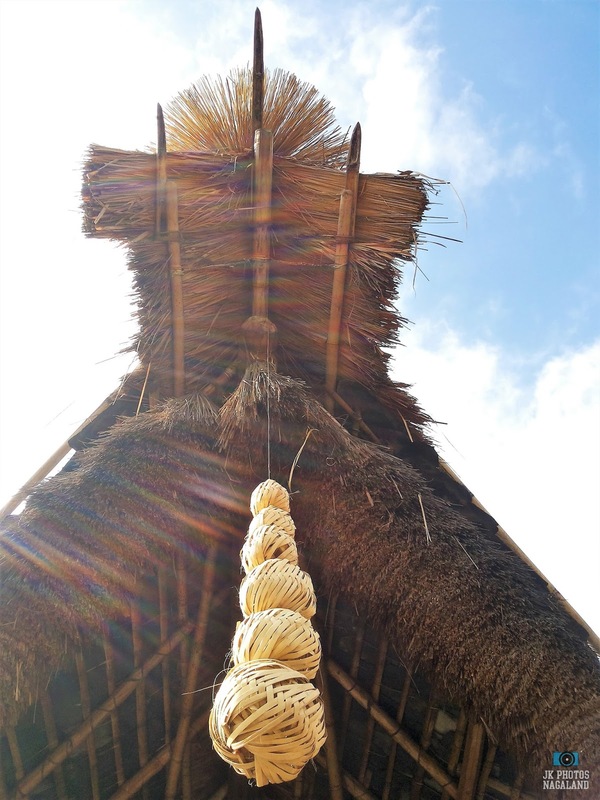 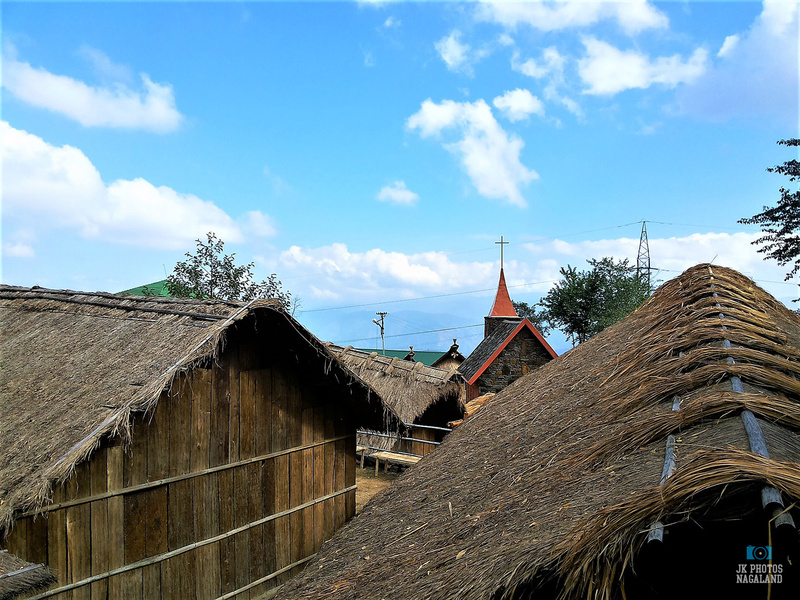 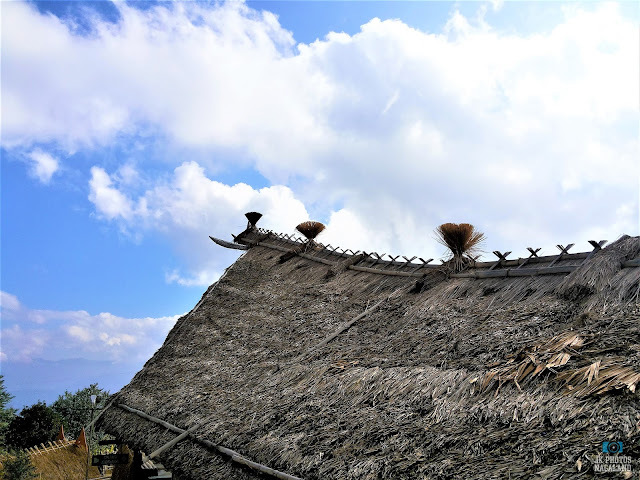 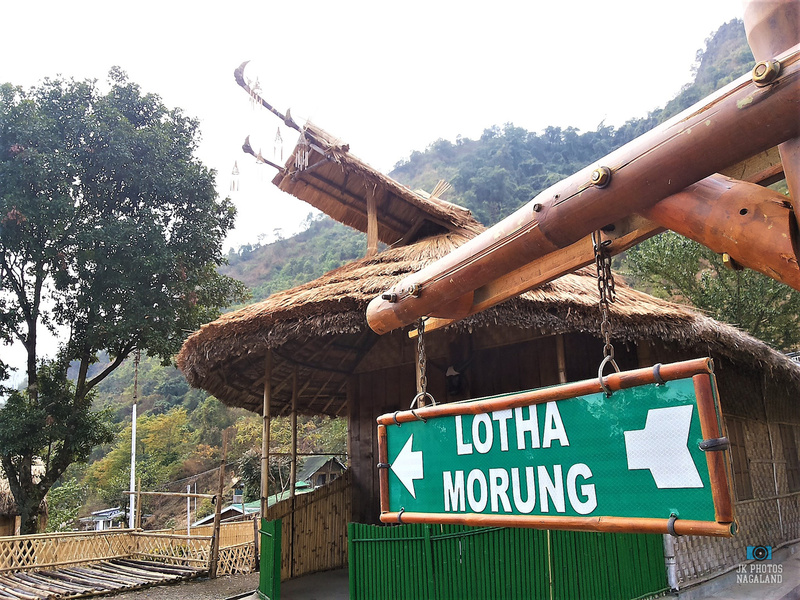 Among the Naga tribes, Khiamniungan's traditional huts are one of a kind - Khiamniungans use slated stone for making the roof. 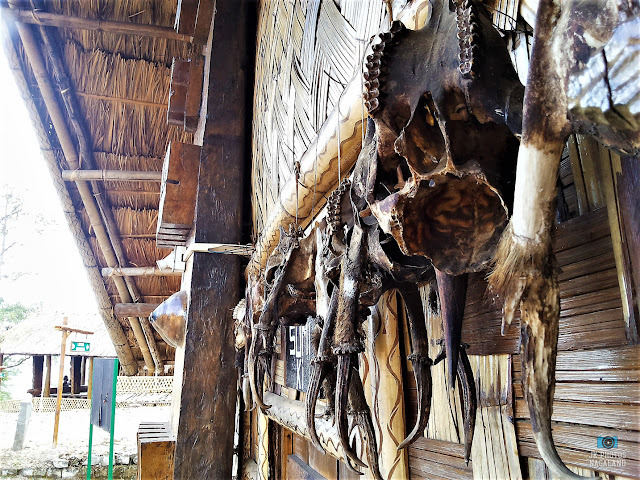 In those days and even now in remote villages, one would find skulls of hunted animals hung in and around the huts. Mostly, the skulls are of deer, monkeys, wild boar etc. 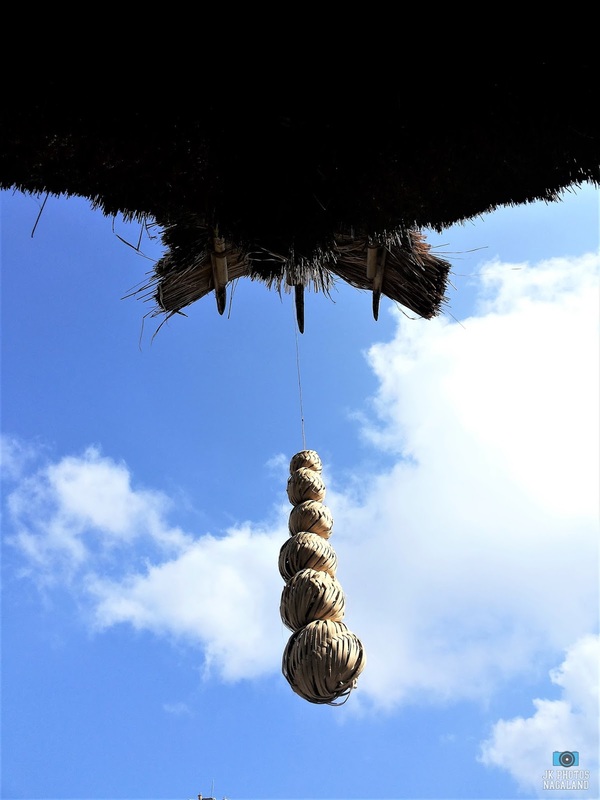 In some places, one would even find human skulls from the head hunting era.